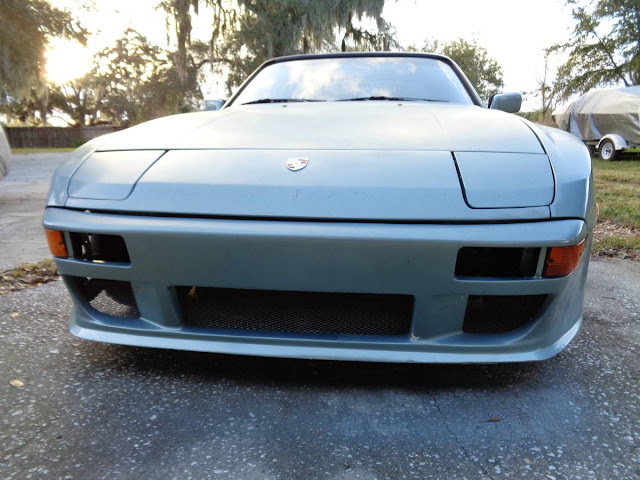 The Porsche 944 was built from 1982 through 1991 on a platform shared with the low level Porsche 924, and it featured an upgraded engine and upgraded styling...and this next example includes a slight upgrade to the factory fender flares and significant application in decorative interior carbon fiber stuff. 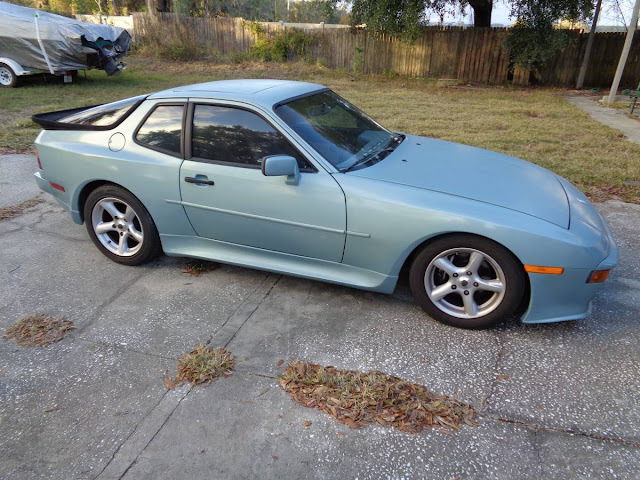 Anyway, find this 1985 Porsche 944 offered for $6,500 in Tampa Bay, FL via craigslist. Tip from Rock On! Green - blue Color. Crystal Green Metallic - LM6Y / S5 paint code. Very Well Maintained ! Garage stored. New Porsche Battery. New tune-up parts. All Fluids changed regularly. New Water Pump, Timing / Balance Belts all replaced. All New Front Engine Seals. No Leaks! + many more parts. New Power Steering Pump and Rack. All Brakes . New Front struts. New sway bar bushings. Newer radiator hoses. Radiator has been replaced. New coolant overflow bottle. New Window Scraper Seals. Door handles rebuilt. Short-Shift Kit Installed. Custom shift knob and boot. Custom Fit - Lloyds Floor Mats with 944 logo embroidered. And matching trunk carpet mat. ROH - Magnesium Wheels / rims. Custom Fiberworks front air dam ! and side rocker skirts. I have the fog lights. 116,000 miles. Compression is still very good ! I will take serious buyers for a ride. if you are very serious, Have Cash, you can test drive, purchase and proudly own this car. Make an offer. I have been the owner of this car for 12+ years. It needs to live on. And Not get trashed by anyone. 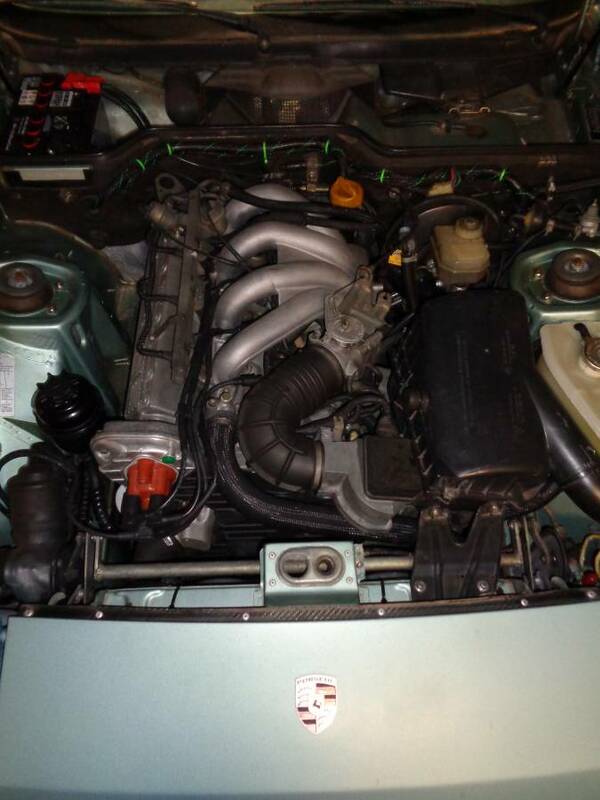 Its a Great Running Car with the maintenance done ! It could be driven daily ! Its ready to go. Have to agree. Someone did a pretty decent job on this one, save for the fake carbon fibery bits. But at least they did paint them some obnoxious shade of neon. I could live with it for awhile. I always liked these. A friend owned one way back in the day and it was a really nice drive. He used every penny he had to buy it used, but didn't take maintenance into account. It was too expensive for a 20 year old to maintain, and it began to show within a year or so after his purchase. Before that, it was joy to drive. These cars have always lived in the shadow of the 911, but that has kept prices reasonable. Bargain it down to have some money to pick up some turbo twists off cl. I like the body kit and would complement it with a fixed headlight conversion - gives it that imsa race car look. When I looked at the map of were it was located I thought to myself that it will be underwater someday. We have had a heck of a time trying to find a second set of wheels for my son’s 1985.5 944. Basically the only wheels that fit are Fuchs, phone dials, and a set of BBS wheels that cost $800 apiece. If this seller installed lug adapters to allow for more wheel options that would be pretty cool. If turbo twists fit a 1985.5 944 I’d sure be happy to hear that! 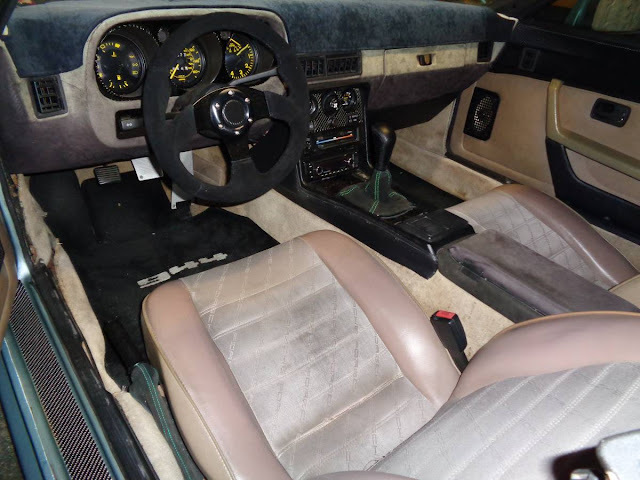 I think early 944s require a fairly small spacer to fit Boxster / 996 wheels. Looking closer, I’d budget a couple grand for a liveable interior. That cornucopia of kaleidoscopic color would wear heavily on the corneas. Well, retinas. But still. That side skirt make me think there must be cheaper ways to drive something that looks like a Toyota. Speaking of carbon fiber, has anybody resto-modded a mid 60s Country Squire wagon with the fake wood trim re-done as fake carbon fiber ? Just as an aside “the golden hour” is the hour when the sun is just *ABOVE* the horizon, not the hour when everything looks like it’s in an aquarium. I know that color of paint and in real life it’s rather attractive.